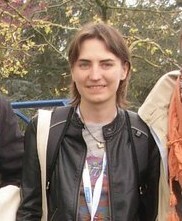 Tatiana V. Nizkaya studied Applied Mathematics at the N.E.Bauman Moscow State Technical University. In 2006 she obtained her M.Sci. under supervision of Prof. Mikhail P. Galanin in numerical (finite element) modeling of thermoplasticity. She continued working in his group at the M.V.Keldysh Institute for Applied Mathematics (Russian Academy of Sciences) as a junior research fellow for two years after graduation. In 2009 Tatiana became a PhD student at the LAEGO research laboratory (University of Lorraine) under supervision of Prof. Michel Bues and Dr. Jean-Regis Angilella. Her thesis was devoted to asymptotic analysis of single phase and particle-laden flows in thin channels. In 2012 she obtained her PhD degree and joined the Laboratory of Physical Chemistry of Modified Surfaces as a junior research fellow. Tatiana is currently working with Evgeny Asmolov and Olga Vinogradova on a number of problems related to motion of colloidal particles and biomolecules near anisotropic superhydrophobic surfaces in connection to their mixing/separation in micro- and nanofluidic devices. In 2015 she was promoted to a position of a research fellow.